2018 brought our rescue a great challenge: We were contacted to lend a hand with a huge horde of animals in Louisa County, Virginia. Over 500 animals were found on two properties. They were in pitiful shape. The guinea pigs had been left to breed indiscriminately. They filled their cages, and many were unable to move to avoid the chickens that would peck their ears and eyes. We left the shelter with 41 guinea pigs on that cold November day. We would eventually have 53, coining the name Yum Nuggets, because they were deliciously adorable. Our veterinarians were alerted and ready to see the guinea pigs right away. Most were underweight and stunted. They had several different issues that needed to be dealt with immediately. You can imagine our veterinary costs were astounding. We had hoped to get back to Virginia for more of them, but the demands for our cages from the local shelters did not ease up because of the Louisa guinea pigs. They remain as overcrowded as ever. We have recently assisted with two more large hordes - one out of Wisconsin and another from Baltimore. Each with their own challenges and every one of them is expensive. Currently we use Pay Pal to accept donations. If you do not have a Pay-Pal account the sign up process is free and painless. You can also email us directly to make other donation arrangements. Pay-Pal also allows you to set the amount you would like to donate. Any amount is appreciated, and will improve the life of a wonderful animal, and eventually the life of a loving family for that guinea pig. Please keep in mind, that since Metropolitan Guinea Pig Rescue is a non-profit organization your donations are tax deductible. If you would like to contact our Donations area via e-mail so you can send a donation via check please use this link. If you are a federal employee in the Washington, DC Metro area, MGPR is an authorized charity in the Combined Federal Campaign (CFC). MGPR is a member of the National Capital Area CFC, Chesapeake Bay Area CFC, and Potomac CFC. You can find us under "local Agencies" using organization number 94742. We are a partner with Amazon.com. MGPR receives a percentage of the purchases you make on Amazon when you choose Metropolitan Guinea Pig Rescue as your charity on AmazonSmile. 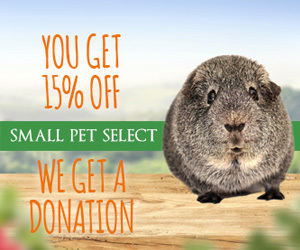 Go to http://smile.amazon.com/ and select Metropolitan Guinea Pig Rescue as the charity you want to donate to. We are a partner with igive.com. When you register and shop online at selected iGive retailers, MGPR receives a percentage of the purchase made. We are a partner with adoptashelter.com. When you register and shop online at selected adoptashelter retailers, MGPR receives 100% of the commission adoptashelter.com receives from a purchase made. Shopping through AdoptAShelter.com is exactly the same as going to the merchant directly � prices, customer service and discounts are all the same. 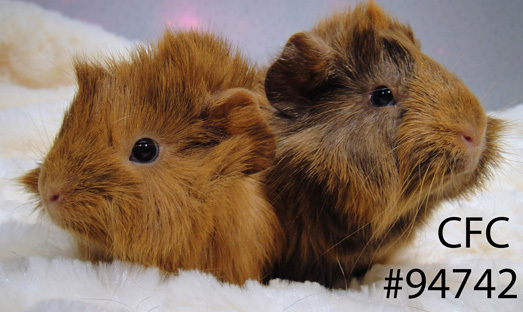 Visit adoptashelter.com and enter "Metropolitan Guinea Pig Rescue" in the search box. Once you find the shelter on the list � select it. Then just click on the orange �Shop Now" button.